Gregory Snyder is conductor of the newly-formed Nashville Youth Wind Ensemble (NYWE), providing an intensive musical opportunity for high school musicians throughout Middle Tennessee. NYWE provides a deeper study of iconic wind band literature for some of Middle Tennessee’s finest young musicians. As a highly sought-after guest conductor and clinician, Mr. Snyder regularly travels the country. Recently, he guest-conducted All-State bands for the Middle Tennessee School Band and Orchestra Association (MTSBOA); the University of Tennessee at Martin, and East Tennessee, as well as the Northern Kentucky Select Band. Mr. Snyder recently served as clinician for Mississippi State University; the University of Nevada; the University of Tennessee; The Fresno State University Sutherland Wind Festival, Fresno, Calif., and the Boise State Band Clinic Festival, Boise, Idaho. He also conducted clinics for Hoover High School, Ala.; Jackson High School, Ohio., and Williamson County (Tenn.) band directors. He is clinician for VH1 Save the Music, conducting clinics in San Diego, Calif., and New Britain, Conn. Mr. Snyder is the Nashville clinician for Music Travel Consultants, and is on-staff with American Music Abroad European Tours. He is a Central States Judges Association of America (CSJA) adjudicator. CSJA provides selective, exclusively-trained judges for competitive musical and visual ensembles throughout the United States. 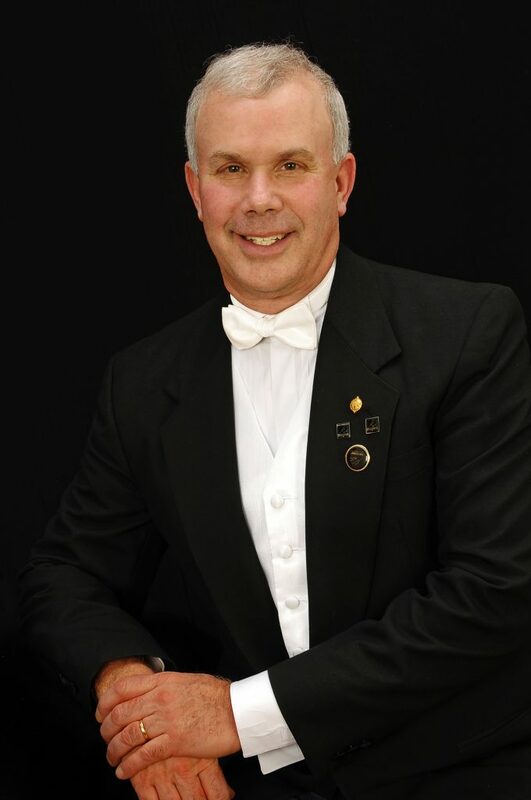 Mr. Snyder is director of bands emeritus, Lakota West High School, West Chester, Ohio. He taught and conducted high school band for 35 years, teaching 27 years in Lakota—9 years at Lakota High School, and 18 years at Lakota West High School. His concert bands toured Europe and earned a nearly-unprecedented three invitations to the internationally-acclaimed Midwest Band and Orchestra Clinic (Chicago, Ill.). The Marching Firebirds earned more than 75 grand champion awards and numerous accolades, including performing twice in the iconic Tournament of Roses Parade (Pasadena, Calif.), and in the legendary Macy’s Thanksgiving Parade (New York, N.Y.). From 1988-2015, Mr. Snyder led the Lakota/Lakota West High School bands to success in performance and victory in competition. For two decades, Lakota/Lakota West students were awarded the most positions in OMEA All-State Ensembles each year. Not only did the Lakota West program grow to a nearly-unprecedented seven concert bands, but the top three ensembles performed in state competition in classes AA and A, earning superior ratings annually. Under his tenure, the instrumental music program grew from 100 students in grades 9 – 12 to more than 800 district-wide. As director of bands, he directed Symphonic Winds, the Symphonic Red and Symphonic White Bands, and the 280-strong Marching Firebirds. He assisted with two freshmen concert bands and was music supervisor for 17 years. Under his leadership, the Lakota West instrumental program gained a national and international reputation for excellence. Symphonic Winds was invited to perform at the world-renowned Midwest Band and Orchestra Clinic in Chicago three times, a first for Ohio, in 2000, 2006 and 2011. Mr. Snyder partnered with the Cincinnati Symphony Orchestra (CSO), performing Community Concerts in 2007 and 2010. In 2015 he had the rare privilege of performing with Symphonic Winds at the iconic home of the Cincinnati Symphony Orchestra, the legendary Cincinnati Music Hall. Other major performances include: Great Southern Contest of Champions, Orlando, 1990; Bowling Green State University New Music Reading Clinic, 1993 and 1998; Dixie Classic Music Festival (grand champion award), Chattanooga/Atlanta/Richmond, 1995, 1998 and 2010; Toronto Music Festival, 1996; Music in the Parks Festival, Chicago, 1999; 30th Annual Ohio Band Directors Conference, University of Akron, 2001; New Concert Band Music Reading Clinic, Capital University, 2002; OMEA State Convention, Cincinnati/Dayton/Columbus/Cleveland, 1992, 1996, 2004 and 2015; European tour with performances in Paris, Brussels, and London, 2004; won the Jupiter National Concert Band Competition, performing with the Boston Brass, 2008; Youngstown State University Wind and Percussion Invitational, 2008; Rutgers University Music Festival, New Brunswick, 2010; and Branson Music Festival, 2013. The Lakota Marching Thunderbirds and Lakota West Marching Firebirds earned more than 75 grand champion awards under Mr. Snyder’s direction. They were invited to march in the Reds Opening Day Parade and to perform as the Bengals’ halftime show several times over the years. Additional major performances include: The Great Southern Contest of Champions, Orlando, 1990; the Philadelphia Thanksgiving Day Parade, 1991. Disney’s Magic Music Days, Orlando, 1993 and 1996; the Hollywood Christmas Parade, 1999; the Citrus Bowl, New Orleans, 2003; Pearl Harbor and the Waikiki Holiday Parade, Maui, 2005; the 119th Tournament of Roses Parade, Pasadena, 2008; Disney World and Universal Studios, Orlando, 2010; the 87th Annual Macy’s Thanksgiving Day Parade, New York City, 2013, and the 126th Tournament of Roses Parade, Pasadena, 2015. To solicit their expertise, Mr. Snyder invited many prominent composers and conductors to conduct Lakota/Lakota West Bands, including: David Booth, John Bourgeois, Geoffrey Brand, Marcellus Brown, John Climer, Eugene Corporon, Raymond Cramer, James Curnow, Elliot Del Borgo, Stephen Gage, David Gillingham, Gary Gilroy, Gary Green, Joseph Hermann, Robert Jorgensen, Brant Karrick, Mark S. Kelly, Craig Kirchhoff, Barry Kopetz, Edward Lisk, Donald McGinnis, Stephen Melillo, Stan Michalski, Russel Mikkelson, Glenn Price, Ryan Nowlin, Alfred Reed, David Shaffer, Robert Sheldon, Phillip Sparke, Gary Speck, James Swearingen, Mallory Thompson, Jan van der Roost, Myron Welch, John Whitwell, Frank Wickes, and Rodney Winther. Chairing many Ohio Music Education Association (OMEA)-adjudicated events, including Ohio All-State Band, he also served as All-State chair. He is past-president of OMEA, District XIII. Prior to his tenure at Lakota, Mr. Snyder e served as assistant director for five years and director of bands for three years in the Clyde-Green Springs School District, Clyde, Ohio. Mr. Snyder is an elected member of the exclusive American Bandmasters Association. He was awarded the Distinguished Alumni Award from Bowling Green State University in 2014. In recognition of his accomplishments and “extraordinary success,” the Ohio State House of Representatives and the Ohio Senate officially commended him in 2014. Mr. Snyder crafted a proprietary program on how to develop musicians through chamber music, presenting how-to-style clinics at the Midwest Band and Orchestra Clinic and the OMEA State Conference. He is recognized as a visionary on the topic, penning an article for the TRIAD professional journal, Chamber Playing’s Impact: Bringing Your Students out of the Audible Shadow. The program is also featured in The Conductor’s Companion by Gary Stith. Prior to earning a master of music education degree from VanderCook College of Music, Chicago, Mr. Snyder earned a bachelor of music degree from Bowling Green State University in 1980. He acquired additional post-graduate work from the College-Conservatory of Music at the University of Cincinnati, Miami University and Boston University. Mr. Snyder is a member of Phi Beta Mu, Tennessee Music Education Association, and the National Association for Music Education. Mr. Snyder and his wife Sandra live in Mount Juliet, Tennessee. Sandra is the Nashville First Baptist Church director of communications. They have two sons: Alexander is a band director at Grassland Middle School in Franklin, TN; his wife Ashlinn is the Nashville Symphony development programs manager. Adam is an attorney for Stroock, Stroock & Lavan in Los Angeles, CA.